In this IR Grasp I will talk about the book that I had read for the independent reading that you have to do. Anyways the book that I read was The lightning thief and this story was very interesting. 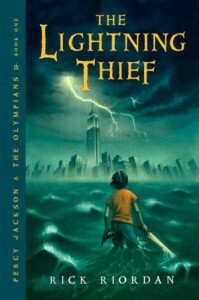 in the beginning you start off with Percy Jackson, a teen with a weird and challenging life. He has a friend named Grover and he also weird. They are in a field trip in the beginning and he has conflicts with this girl in the field trip and the teacher, Mrs.Dodds. Supposedly he pushed the girl and then he killed his teacher that people say never existed which was weird for percy. He gets home from the crazy trip and his mom says they are going to a beach but when they were there for a bit, their trip had gone wrong with the minotour chasing them and percys mom vanished in thin air to the underworld. Percy makes it to this special camp with people that are just like percy, which means they all have special abilities in them that can be used by them. He then trains and he thinks on going on a quest for his mom and to see who stole the lightning bolt too. They had to go and find the gates to the underworld and they soon find hades who does not have the thunder bolt but does have his mom so he gets his mom and runs back. They make it back but they find out luke, a great swordsman, son of hermes, stole the lightning bolt. But they can't catch him and in the end percy almost dies and he lives with his mom. I would recommend this book because it is interesting. Things happen in the story that will surprise you. The author uses figurative language and plot twist and foreshadowing to confuse the readers which makes it so fun to read. I honestly really like the book and the adventure that comes with it. You can also learn some lessons with this book. One example is no matter what you can reach your goal if it really means to you, just like percy when he went to look for his mom and he didn't stop for anything, he beat many things he encountered and thats why you should read this book. 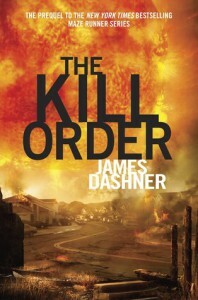 The Kill Order by James Dashner is an intense book. It begins with a couple of survivors from a destructive virus that can kill you. They live in a village and they all have become like one big family. 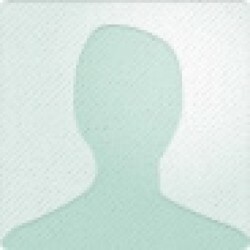 The characters that i read were Mark, Trina, Toad, Misty, and Darnell, Alec, Lana. It was nice for them, they were living at least. But then soon an airship comes with men in biohazard suits shooting them with things that have the virus in the shot, and only Darnell and Misty were hit by it and they both died from it. They then had to try and survive without having a home or food. They had a mission though, which was to go in the base that killed Darnell and Misty and find out information. They did their mission but they all were infected with the disease and they all died. The theme that i found in this book was that you need to stick together and work together to accomplish anything because in the story they had many conflicts but they still did what they had to do together no matter the cost. I really did like this book, it was exciting at some parts and it had suspense like when the people in biohazard suits come and start shooting the virus at them which kills 2 people. What i didn't like was the ending where they were infected and killed which was pretty messed up. I had questions in some parts of the book. One question i had was why did the people in biohazard suits shoot the virus to them? Shouldn't they help each other for a cure? In the end i would definitely recommend this to anyone that has been reading this series or want to read this series. I would recommend reading this book first since it is the prequel to the series.